Ice-O-Matic Commercial Ice Makers | Windrock Enterprises, Inc.
Windrock Enterprises is proud to provide Ice-O-Matic commercial ice makers. For ice that’s pure and ice makers that are simple, choose Ice-O-Matic. Ice, it’s all that Ice-O-Matic does. Designing and manufacturing ice machines in Denver, Colorado since 1952, Ice-O-Matic has worked tirelessly to develop, enhance and perfect the way ice is created and served. Windrock Enterprises will assist you in finding the right Ice-O-Matic commercial ice making machine for the right application. Ice-O-Matic offers a wide range of commercial ice-making products, including storage bins, dispensers and water filters. For quality and reliability, choose Ice-O-Matic. Their ice machines are constructed with the industry’s only stainless steel chassis, stainless and rigid plastic cabinets and other high-quality components. So they offer reliability that we confidently back and that they honor with the longest warranties in the industry. We know time is money. So we strive to understand your needs, which allows us to recommend and install the right Ice-O-Matic ice machine for the right job every time. Chill out with Ice-O-Matic commercial ice makers and Windrock Enterprises. Antimicrobial. Ice-O-Matic’s innovative, food-safe AgION® antimicrobial compound is permanently integrated into essential food-zone areas. This innovation safeguards the sanitation of the ice-making system. Water filtration. Ice-O-Matic’s water filtration program eliminates unwanted taste and odor, which is a common problem with unfiltered ice machines. So Ice-O-Matic ice means pure ice every time. Practical design. Ice-O-Matic ice makers are thoughtfully designed for simplicity. Features like easy-access cabinets, easy-to-clean ice-making systems and simple electromechanical controls make your life easier. Long-lasting performance. 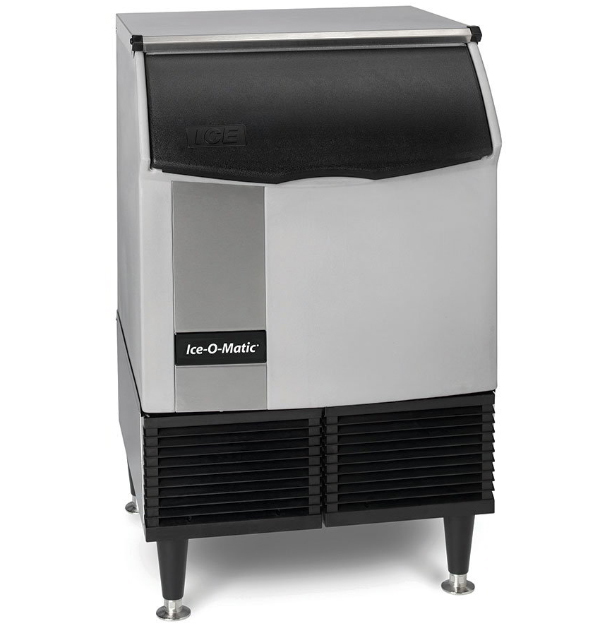 Ice-O-Matic ice machines are designed for unparalleled ease of operation, as well as quick diagnosis, maintenance and service.